Does Extreme Couponing Really Work? Although television shows exalt savings from extreme couponing, the hobby rarely pays off. This is because there are commonly strict limitations placed on what you can do with those coupons and because it takes time and effort to acquire and properly use large amounts of coupons. There are several things you might not know about extreme couponing. These aspects can affect whether it works and is actually worthwhile. Does Bed Bath and Beyond Take Expired Coupons? Most grocery and other stores limit the number of coupons that can be used for items. This means that you cannot use dozens of the same coupons at the same time. For example, you might only be able to use two sport drink coupons at once. This significantly limits your ability to buy multiple items of the same type at the same time. Stores might also limit the number of coupons you can use in a single transaction. This may pertain to a specific type of coupon, such as limiting you to only using two coupons to save on salad dressings, or to the transaction overall such as allowing you to only use 40 coupons per transaction, as does Walmart. This means that, unlike what you see on TV, you cannot typically use hundreds of coupons at the same time to generate large amounts of savings. 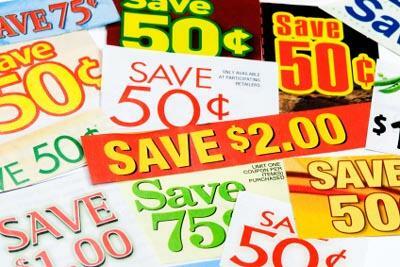 In addition to stores, some manufacturers limit the number of coupons that can be used by a single person. These coupons are often marked by wording such as "limit one per customer" or "cannot be combined." Manufacturers put these limitations on their coupons to prevent over-use of them and reduce their losses from a customer buying dozens of the item at a low cost. First, stores are under no obligation to accept coupons. Additionally, stores do not always offer cash back for overages acquired for coupon usage. Therefore, although on television shoppers are able to apply savings overages on items to the rest of the items in their cart, your store may not offer the same benefit. Extreme couponing requires dozens and dozens of coupons. According to a report shared on PRNewswire, as of 2013, 90.1% of coupons were in print form, meaning in newspapers, magazines, and direct mail advertisements. How do individuals with this hobby acquire dozens of coupons? Some might subscribe to multiple newspapers, while others may pay clipping services. Coupon clipping services can charge per order, per coupon or based on the value of the coupon, with charges ranging from $.05 to $5.00 per order. The result is that these individuals spend money to save money, which is an expense that reduces the amount actually saved. Some coupon fanatics choose to "dumpster dive" in an effort to look for discarded newspapers or coupon inserts. This requires being okay with jumping into trash bins and also may result in not acquiring coupons for items that are needed or wanted. Clipping coupons, matching coupons to products, planning shopping trips, and putting away purchases requires time. This time, in many circumstances, relates to money. Any savings must be compared with the time spent clipping and shopping. A staple scene on almost every episode of shows focusing on extreme couponing is the presentation of an individual's stockpile. This stockpile, which frequently overruns portions of the individual's home, displays the number one problem of extreme couponing: you buy items you may not need. In 2012, former extreme coupon shopper Christy Rakoczy admitted in an article on ABC News that her prior hobby resulted in her having hundreds of jars and bottles of pasta sauce, toothpaste, and other non-perishable items. Rakoczy freely admits that her coupons rarely paid for fresh food, such as fruits or vegetables, leaving her with rooms filled with items that she had to use but had no need for. The result of all of this, Rakoczy admits, is that she spent hundreds of dollars on items that she didn't need. Although coupons can save you money, doing so to an extreme level might not lead to the savings you expect. Remember that extreme couponing carries costs in the form of both time and money and that it can result in your purchasing hundreds of dollars of items that you don't actually need or want. Keep a level head regarding when to use coupons.